This article is about the political term. For other uses, see Head of state (disambiguation). A head of state (or chief of state) is the public persona that officially represents the national unity and legitimacy of a State. 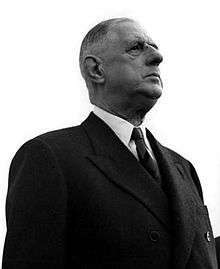 In developing the current Constitution of France (1958), former French president Charles de Gaulle said the head of state should embody "the spirit of the nation" (l'esprit de la nation). In some countries, typically those with parliamentary governments, the head of state is a ceremonial figurehead that does not actually guide day-to-day government activities and may not even be empowered to exercise any kind of political authority (e.g., Queen Elizabeth II in the United Kingdom). In other countries, the head of state is also the head of government, such as in the U.S., where the president is both a public figurehead and the actual highest ranking political leader who, in practice, oversees the executive branch. Some academic writers discuss states and governments in terms of "models". An independent nation state normally has a head of state, and determines the extent of its head's executive powers of government or formal representational functions. In protocolary terms, the head of a sovereign, independent state is usually identified as the person who, according to that state's constitution, is the reigning monarch, in the case of a monarchy, or the president, in the case of a republic. The standard model, in which the head of state, in theory, possesses key executive powers, but the exercise of such power is done on the binding advice of a head of government (e.g., United Kingdom, India, Pakistan). The non-executive model, in which the head of state has either none or very limited executive powers, and mainly has a ceremonial and symbolic role (E.g. : Sweden, Japan). The presidential system, in which the head of state is also the head of government and has all executive powers (e.g., United States, Brazil). In parliamentary systems the head of state may be merely the nominal chief executive officer, heading the executive branch of the state, and possessing limited executive power. In reality, however, following a process of constitutional evolution, powers are usually only exercised by direction of a cabinet, presided over by a head of government who is answerable to the legislature. This accountability and legitimacy requires that someone be chosen who has a majority support in the legislature (or, at least, not a majority opposition - a subtle but important difference). It also gives the legislature the right to vote down the head of government and his cabinet, forcing it either to resign or seek a parliamentary dissolution. The executive branch is thus said to be responsible (or answerable) to the legislature, with the head of government and cabinet in turn accepting constitutional responsibility for offering constitutional advice to the head of state. In parliamentary constitutional monarchies, the legitimacy of the unelected head of state typically derives from the tacit approval of the people via the elected representatives. 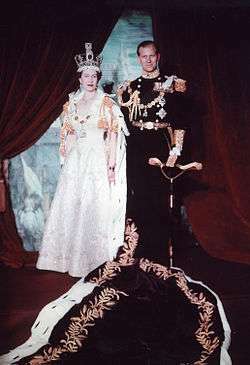 Accordingly, at the time of the Glorious Revolution, the English parliament acted of its own authority to name a new king and queen (the joint monarchs Mary II and William III); likewise, Edward VIII's abdication required the approval of each of the six independent realms of which he was monarch. In monarchies with a written constitution, the position of monarch is a creature of the constitution and could quite properly be abolished through a democratic procedure of constitutional amendment, although there are often significant procedural hurdles imposed on such a procedure (as in the Constitution of Spain). 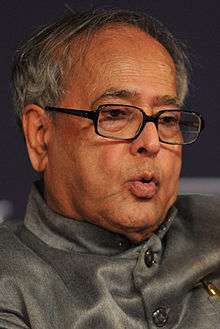 In republics with a parliamentary system (such as India, Germany, Austria, Italy and Israel) the head of state is usually titled president and the principal functions of such presidents are mainly ceremonial and symbolic, as opposed to the presidents in a presidential or semi-presidential system. In reality, numerous variants exist to the position of a head of state within a parliamentary system. The older the constitution, the more constitutional leeway tends to exist for a head of state to exercise greater powers over government, as many older parliamentary system constitutions in fact give heads of state powers and functions akin to presidential or semi-presidential systems, in some cases without containing reference to modern democratic principles of accountability to parliament or even to modern governmental offices. Usually, the king had the power of declaring war without previous consent of the parliament. 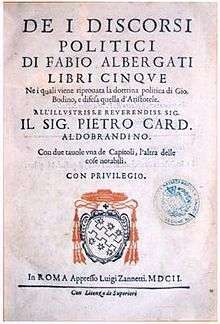 For example, under the 1848 constitution of the Kingdom of Italy, the Statuto Albertino—the parliamentary approval to the government appointed by the king—was customary, but not required by law. So, Italy had a de facto parliamentarian system, but a de jure "presidential" system. Examples of heads of state in parliamentary systems using greater powers than usual, either because of ambiguous constitutions or unprecedented national emergencies, include the decision by King Léopold III of the Belgians to surrender on behalf of his state to the invading German army in 1940, against the will of his government. Judging that his responsibility to the nation by virtue of his coronation oath required him to act, he believed that his government's decision to fight rather than surrender was mistaken and would damage Belgium. (Leopold's decision proved highly controversial. After World War II, Belgium voted in a referendum to allow him back on the throne, but because of the ongoing controversy he ultimately abdicated.) The Belgian constitutional crisis in 1990, when the head of state refused to sign into law a bill permitting abortion, was resolved by the cabinet assuming the power to promulgate the law while he was treated as "unable to reign" for twenty-four hours. These officials are excluded completely from the executive: they do not possess even theoretical executive powers or any role, even formal, within the government. Hence their states' governments are not referred to by the traditional parliamentary model head of state styles of His/Her Majesty's Government or His/Her Excellency's Government. Within this general category, variants in terms of powers and functions may exist. The Constitution of Japan (日本国憲法, Nihonkoku-Kenpō) was drawn up under the Allied occupation that followed World War II and was intended to replace the previous militaristic and quasi-absolute monarchy system with a form of liberal democracy parliamentary system. The constitution explicitly vests all executive power in the Cabinet, who is chaired by the prime minister (articles 65 and 66) and responsible to the Diet (articles 67 and 69). The emperor is defined in the constitution as "the symbol of the State and of the unity of the people" (article 1), and is generally recognized throughout the world as the Japanese head of state. Although the emperor formally appoints the prime minister to office, article 6 of the constitution requires him to appoint the candidate "as designated by the Diet", without any right to decline appointment. He is a ceremonial figurehead with no independent discretionary powers related to the governance of Japan. 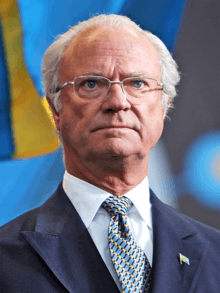 Since the passage in Sweden of the 1974 Instrument of Government, the Swedish monarch no longer has many of the standard parliamentary system head of state functions that had previously belonged to him or her, as was the case in the preceding 1809 Instrument of Government. Today, the Speaker of the Riksdag appoints (following a vote in the Riksdag) the prime minister and terminates his or her commission following a vote of no confidence or voluntary resignation. Cabinet members are appointed and dismissed at the sole discretion of the prime minister. Laws and ordinances are promulgated by two Cabinet members in unison signing "On Behalf of the Government" and the government—not the monarch—is the high contracting party with respect to international treaties. The remaining official functions of the sovereign, by constitutional mandate or by unwritten convention, are to open the annual session of the Riksdag, receive foreign ambassadors and sign the letters of credence for Swedish ambassadors, chair the foreign advisory committee, preside at the special Cabinet council when a new prime minister takes office, and to be kept informed by the prime minister on matters of state. In contrast, the only contact the President of Ireland has with the Irish government is through a formal briefing session given by the taoiseach (head of government) to the president. However, he or she has no access to documentation and all access to ministers goes through the Department of the Taoiseach. The president does, however, hold limited reserve powers, such as referring a bill to the supreme court to test its constitutionality, which are used under the president's discretion. The most extreme non-executive republican Head of State is the President of Israel, which holds no reserve powers whatsoever. The least ceremonial powers held by the President are to appoint the Prime Minister, to approve the dissolution of the Knesset made by the Prime Minister, and to pardon criminals or to commute their sentence. Some parliamentary republics (like South Africa, Botswana and Suriname) have fused the roles of the head of state with the head of government (like in a presidential system), while having the sole executive officer, often called a president, being dependent on the Parliament's confidence to rule (like in a parliamentary system). While also being the leading symbol of the nation, the president in this system acts mostly as a prime minister, since the incumbent must be a member of the legislature at the time of the election, answer question sessions in Parliament, avoid motions of no confidence, etc. Semi-presidential systems combine features of presidential and parliamentary systems, notably a requirement that the government be answerable to both the president and the legislature. The constitution of the Fifth French Republic provides for a prime minister who is chosen by the president, but who nevertheless must be able to gain support in the National Assembly. Should a president be of one side of the political spectrum and the opposition be in control of the legislature, the president is usually obliged to select someone from the opposition to become prime minister, a process known as Cohabitation. President François Mitterrand, a Socialist, for example, was forced to cohabit with the neo-Gaullist (right wing) Jacques Chirac, who became his prime minister from 1986 to 1988. In the French system, in the event of cohabitation, the president is often allowed to set the policy agenda in security and foreign affairs and the prime minister runs the domestic and economic agenda. Other countries evolve into something akin to a semi-presidential system or indeed a full presidential system. Weimar Germany, for example, in its constitution provided for a popularly elected president with theoretically dominant executive powers that were intended to be exercised only in emergencies, and a cabinet appointed by him from the Reichstag, which was expected, in normal circumstances, to be answerable to the Reichstag. Initially, the President was merely a symbolic figure with the Reichstag dominant; however, persistent political instability, in which governments often lasted only a few months, led to a change in the power structure of the republic, with the president's emergency powers called increasingly into use to prop up governments challenged by critical or even hostile Reichstag votes. By 1932, power had shifted to such an extent that the German President, Paul von Hindenburg, was able to dismiss a chancellor and select his own person for the job, even though the outgoing chancellor possessed the confidence of the Reichstag while the new chancellor did not. Subsequently, President von Hindenburg used his power to appoint Adolf Hitler as Chancellor without consulting the Reichstag. Note: The head of state in a "presidential" system may not actually hold the title of "president" - the name of the system refers to any head of state who actually governs and is not directly dependent on the legislature to remain in office. Some constitutions or fundamental laws provide for a head of state who is not only in theory but in practice chief executive, operating separately from, and independent from, the legislature. This system is known as a "presidential system" and sometimes called the "imperial model", because the executive officials of the government are answerable solely and exclusively to a presiding, acting head of state, and is selected by and on occasion dismissed by the head of state without reference to the legislature. 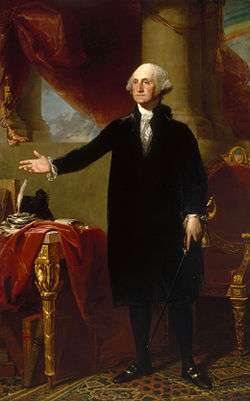 It is notable that some presidential systems, while not providing for collective executive accountability to the legislature, may require legislative approval for individuals prior to their assumption of cabinet office and empower the legislature to remove a president from office (for example, in the United States of America). In this case the debate centers on the suitability of the individual for office, not a judgement on them when appointed, and does not involve the power to reject or approve proposed cabinet members en bloc, so it is not accountability in the sense understood in a parliamentary system. Presidential systems are a notable feature of constitutions in the Americas, including those of Argentina, Brazil, Colombia, El Salvador, Mexico and Venezuela; this is generally attributed to the strong influence of the United States in the region, and as the United States Constitution served as an inspiration and model for the Latin American wars of independence of the early 19th century. Most presidents in such countries are selected by democratic means (popular direct or indirect election); however, like all other systems, the presidential model also encompasses people who become head of state by other means, notably through military dictatorship or coup d'état, as often seen in Latin American, Middle Eastern and other presidential regimes. Some of the characteristics of a presidential system (i.e., a strong dominant political figure with an executive answerable to them, not the legislature) can also be found among absolute monarchies, parliamentary monarchies and single party (e.g. Communist) regimes, but in most cases of dictatorship, their stated constitutional models are applied in name only and not in political theory or practice. In the 1870s in the United States, in the aftermath of the impeachment of President Andrew Johnson and his near-removal from office, it was speculated that the United States, too, would move from a presidential system to a semi-presidential or even parliamentary one, with the Speaker of the House of Representatives becoming the real center of government as a quasi-prime minister. This did not happen and the presidency, having been damaged by three late nineteenth and early twentieth century assassinations (Lincoln, Garfield and McKinley) and one impeachment (Johnson), reasserted its political dominance by the early twentieth century through such figures as Theodore Roosevelt and Woodrow Wilson. In certain states under Marxist constitutions of the constitutionally socialist state type inspired by the former Union of Soviet Socialist Republics (USSR) and its constitutive Soviet republics, real political power belonged to the sole legal party. In these states, there was no formal office of head of state, but rather the leader of the legislative branch was considered to be the closest common equivalent of a head of state as a natural person. In the Soviet Union this position carried such titles as Chairman of the Central Executive Committee of the USSR; Chairman of the Presidium of the Supreme Soviet; and in the case of the Soviet Russia Chairman of the Central Executive Committee of the All-Russian Congress of Soviets (pre-1922), and Chairman of the Bureau of the Central Committee of the Russian SFSR (1956–1966). This position may or may not have been held by the de facto Soviet leader at the moment. For example, Nikita Khrushchev never headed the Supreme Soviet but was First Secretary of the Central Committee of the Communist Party (party leader) and Chairman of the Council of Ministers (head of government). This may even lead to an institutional variability, as in North Korea, where, after the presidency of party leader Kim Il-Sung, the office was vacant for years, the late president being granted the posthumous title (akin to some ancient Far Eastern traditions to give posthumous names and titles to royalty) of "Eternal President" (while all substantive power, as party leader, itself not formally created for four years, was inherited by his son Kim Jong Il, initially without any formal office) until it was formally replaced on 5 September 1998, for ceremonial purposes, by the office of Chairman of the Presidium of the Supreme People's Assembly, while the party leader's post as Chairman of the National Defense Commission was simultaneously declared "the highest post of the state", not unlike Deng Xiaoping earlier in the People's Republic of China. While clear categories do exist, it is sometimes difficult to choose which category some individual heads of state belong to. In reality, the category to which each head of state belongs is assessed not by theory but by practice. Constitutional change in Liechtenstein in 2003 gave its head of state, the Reigning Prince, constitutional powers that included a veto over legislation and power to dismiss the head of government and cabinet. It could be argued that the strengthening of the Prince's powers, vis-a-vis the Landtag (legislature), has moved Liechtenstein into the semi-presidential category. Similarly the original powers given to the Greek President under the 1974 Hellenic Republic constitution moved Greece closer to the French semi-presidential model. Another complication exists with South Africa, in which the President is in fact elected by the National Assembly (legislature) and is thus similar, in principle, to a head of government in a parliamentary system but is also, in addition, recognized as the head of state. The offices of President of Nauru and President of Botswana are similar in this respect to the South African presidency. Panama, during the military dictatorships of Omar Torrijos and Manuel Noriega, was nominally a presidential republic. However, the elected civilian presidents were effectively figureheads with real political power being exercised by the chief of the Panamanian Defense Forces. 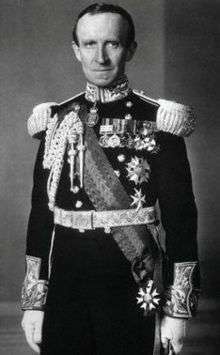 Historically, at the time of the League of Nations (1920-1946) and the founding of the United Nations (1945), India's head of state was the monarch of the United Kingdom, ruling directly or indirectly as Emperor of India through the Viceroy and Governor-General of India. Coronation ceremony: King Bhumibol Adulyadej at his coronation on 5 May 1950 (left), and Queen Elizabeth II and the Duke of Edinburgh in her coronation portrait on 2 June 1953. Head of state is the highest-ranking constitutional position in a sovereign state. A head of state has some or all of the roles listed below, often depending on the constitutional category (above), and does not necessarily regularly exercise the most power or influence of governance. There is usually a formal public ceremony when a person becomes head of state, or some time after. This may be the swearing in at the inauguration of a president of a republic, or the coronation of a monarch. One of the most important roles of the modern head of state is being a living national symbol of the state; in hereditary monarchies this extends to the monarch being a symbol of the unbroken continuity of the state. For instance, the Canadian monarch is described by the government as being the personification of the Canadian state and is described by the Department of Canadian Heritage as the "personal symbol of allegiance, unity and authority for all Canadians". In many countries, official portraits of the head of state can be found in government offices, courts of law, even airports, libraries, and other public buildings. The idea, sometimes regulated by law, is to use these portraits to make the public aware of the symbolic connection to the government, a practice that dates back to medieval times. Sometimes this practice is taken to excess, and the head of state becomes the principal symbol of the nation, resulting in the emergence of a personality cult where the image of the head of state is the only visual representation of the country, surpassing other symbols such as the flag. Other common representations are on coins, postage and other stamps and banknotes, sometimes by no more than a mention or signature; and public places, streets, monuments and institutions such as schools are named for current or previous heads of state. In monarchies (e.g. Belgium) there can even be a practice to attribute the adjective "royal" on demand based on existence for a given number of years. However, such political techniques can also be used by leaders without the formal rank of head of state, even party - and other revolutionary leaders without formal state mandate. Heads of state often greet important foreign visitors, particularly visiting heads of state. They assume a host role during a state visit, and the programme may feature playing of the national anthems by a military band, inspection of military troops, official exchange of gifts, and attending a state dinner at the official residence of the host. At home, heads of state are expected to render luster to various occasions by their presence, such as by attending artistic or sports performances or competitions (often in a theatrical honor box, on a platform, on the front row, at the honours table), expositions, national day celebrations, dedication events, military parades and war remembrances, prominent funerals, visiting different parts of the country and people from different walks of life, and at times performing symbolic acts such as cutting a ribbon, groundbreaking, ship christening, laying the first stone. Some parts of national life receive their regular attention, often on an annual basis, or even in the form of official patronage. The Olympic Charter (rule 55.3) of the International Olympic Committee states that the Olympic summer and winter games shall be opened by the head of state of the host nation, by uttering a single formulaic phrase as determined by the charter. As such invitations may be very numerous, such duties are often in part delegated to such persons as a spouse, a head of government or a cabinet minister or in other cases (possibly as a message, for instance, to distance themselves without rendering offense) just a military officer or civil servant. For non-executive heads of state there is often a degree of censorship by the politically responsible government (such as the head of government), discreetly approving agenda and speeches, especially where the constitution (or customary law) assumes all political responsibility by granting the crown inviolability (in fact also imposing political emasculation) as in the Kingdom of Belgium from its very beginning; in a monarchy this may even be extended to some degree to other members of the dynasty, especially the heir to the throne. Below follows a list of examples from different countries of general provisions in law, which either designate an office as head of state or define its general purpose. The King is the Head of State, the symbol of its unity and permanence. He arbitrates and moderates the regular functioning of the institutions, assumes the highest representation of the Spanish State in international relations, especially with the nations of its historical community, and exercises the functions expressly conferred on him by the Constitution and the laws. The Emperor shall be the symbol of the State and of the unity of the People, deriving his position from the will of the people with whom resides sovereign power. The President of the Republic is the Head of the State and a symbol of the unity of the country and represents the sovereignty of the country. He shall guarantee the commitment to the Constitution and the preservation of Iraq's independence, sovereignty, unity, and the safety of its territories, in accordance with the provisions of the Constitution. The President of the Republic represents the Portuguese Republic, guarantees national independence, the unity of the state and the proper operation of the democratic institutions, and is ex officio Commander-in-Chief of the Armed Forces. (1)The President shall be the Head of State and represent the State vis-à-vis foreign states. (2)The President shall have the responsibility and duty to safeguard the independence, territorial integrity and continuity of the State and the Constitution. The Executive Power of the Nation shall be vested in a citizen with the title of "President of the Argentine Nation". In the majority of states, whether republics or monarchies, executive authority is vested, at least notionally, in the head of state. In presidential systems the head of state is the actual, de facto chief executive officer. 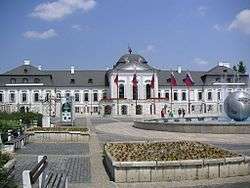 Under parliamentary systems the executive authority is exercised by the head of state, but in practice is done so on the advice of the cabinet of ministers. This produces such terms as "Her Majesty's Government" and "His Excellency's Government." Examples of parliamentary systems in which the head of state is notional chief executive include Australia, Austria, Canada, Denmark, Germany, India, Italy, Norway, Spain and the United Kingdom. Subject to the limitations laid down in this Constitution Act the King shall have the supreme authority in all the affairs of the Realm, and he shall exercise such supreme authority through the Ministers. The executive power of the Commonwealth is vested in the Queen and is exercisable by the Governor-General as the Queen's representative, and extends to the execution and maintenance of this Constitution, and of the laws of the Commonwealth. The executive power shall be exercised by the President of the Republic and the Government. The executive power of the union shall be vested in the President and shall be exercised by him either directly or indirectly through the officers subordinate to him in accordance to the Constitution. The President of the Russian Federation shall, in accordance with the Constitution of the Russian Federation and federal laws, determine the basic objectives of the internal and foreign policy of the State. The Executive Power is exercised by the President of the Republic, assisted by the Ministers of State. The few exceptions where the head of state is not even the nominal chief executive - and where supreme executive authority is according to the constitution explicitly vested in a cabinet - include the Czech Republic, Ireland, Israel, Japan and Sweden. The head of state usually appoints most or all the key officials in the government, including the head of government and other cabinet ministers, key judicial figures; and all major office holders in the civil service, foreign service and commissioned officers in the military. In many parliamentary systems, the head of government is appointed with the consent (in practice often decisive) of the legislature, and other figures are appointed on the head of government's advice. In practice, these decisions are often a formality. The last time the prime minister of the United Kingdom was unilaterally selected by the monarch was in 1963, when Queen Elizabeth II appointed Alec Douglas-Home on the advice of outgoing Prime Minister Harold Macmillan. In presidential systems, such as that of the United States, appointments are nominated by the president's sole discretion, but this nomination is often subject to confirmation by the legislature; and specifically in the US, the Senate has to approve senior executive branch and judicial appointments by a simple majority vote. The head of state may also dismiss office-holders. There are many variants on how this can be done. For example, members of the Irish Cabinet are dismissed by the president on the advice of the taoiseach; in other instances, the head of state may be able to dismiss an office holder unilaterally; other heads of state, or their representatives, have the theoretical power to dismiss any office-holder, while it is exceptionally rarely used. In France, while the president cannot force the prime minister to tender the resignation of the government, he can, in practice, request it if the prime minister is from his own majority. In presidential systems, the president often has the power to fire ministers at his sole discretion. In the United States, the unwritten convention calls for the heads of the executive departments to resign on their own initiative when called to do so. The Federal Government offers its resignation to the King if the House of Representatives, by an absolute majority of its members, adopts a motion of no confidence proposing a successor to the prime minister for appointment by the King or proposes a successor to the prime minister for appointment by the King within three days of the rejection of a motion of confidence. The King appoints the proposed successor as prime minister, who takes office when the new Federal Government is sworn in. The President shall, on the nomination of Dáil Éireann, appoint the Taoiseach. The Prime Minister is appointed by the President with the consent of the National Assembly. XXV - fill and abolish federal government positions, as set forth by law. Some countries have alternative provisions for senior appointments: In Sweden, under the Instrument of Government of 1974, the Speaker of the Riksdag has the role of formally appointing the prime minister, following a vote in the Riksdag, and the prime minister in turn appoints and dismisses cabinet ministers at his/her sole discretion. The Vienna Convention on Diplomatic Relations, which codified longstanding custom, operates under the presumption that the head of a diplomatic mission (i.e. ambassador or nuncio) of the sending state is accredited to the head of state of the receiving state. The head of state accredits (i.e. formally validates) his or her country's ambassadors (or rarer equivalent diplomatic mission chiefs, such as high commissioner or papal nuncio) through sending formal a Letter of Credence (and a Letter of Recall at the end of a tenure) to other heads of state and, conversely, receives the letters of their foreign counterparts. Without that accreditation, the chief of the diplomatic mission cannot take up their role and receive the highest diplomatic status. The role of a head of state in this regard, is codified in the Vienna Convention on Diplomatic Relations from 1961, which (as of 2012) 187 sovereign states has ratified. However, there are provisions in the Vienna Convention that a diplomatic agent of lesser rank, such as a Chargé d'affaires, is accredited to the minister of foreign affairs (or equivalent). The head of state is often designated the high contracting party in international treaties on behalf of the state; signs them either personally or has them signed in his/her name by ministers (government members or diplomats); subsequent ratification, when necessary, may rest with the legislature. The treaties constituting the European Union and the European Communities are noteworthy contemporary cases of multilateral treaties cast in this traditional format, as are the accession agreements of new member states. However, rather than being invariably concluded between two heads of state, it has become common that bilateral treaties are in present times cast in an intergovernmental format, e.g. between the Government of X and the Government of Y, rather than between His Majesty the King of X and His Excellency the President of Y. 1) The Reigning Prince shall represent the State in all its relations with foreign countries, without prejudice to the requisite participation of the responsible Government. 2) Treaties by which territory of the State would be ceded, State property alienated, sovereign rights or prerogatives of the State affected, a new burden imposed on the Principality or its citizens, or an obligation assumed that would limit the rights of the citizens of Liechtenstein shall require the assent of Parliament to attain legal force. The Federal President shall represent the Federation in its international relations. He shall conclude treaties with foreign states on behalf of the Federation. He shall accredit and receive envoys.. The President of the Republic shall accredit ambassadors and envoys extraordinary to foreign powers; foreign ambassadors and envoys extraordinary shall be accredited to him. The President of the People's Republic of China receives foreign diplomatic representatives on behalf of the People's Republic of China and, in pursuance of decisions of the Standing Committee of the National People's Congress, appoints and recalls plenipotentiary representatives abroad, and ratifies and abrogates treaties and important agreements concluded with foreign states. In Canada, these head of state powers belong to the monarch as part of the Royal Prerogative, but the Governor General has been permitted to exercise them since 1947 and has done so since the 1970s. A head of state is often, by virtue of holding the highest executive powers, explicitly designated as the commander-in-chief of that nation's armed forces, holding the highest office in all military chains of command. In a constitutional monarchy or non-executive presidency, the head of state may de jure hold ultimate authority over the armed forces but will only normally, as per either written law or unwritten convention, exercise their authority on the advice of their responsible ministers: meaning that the de facto ultimate decision making on military maneuvers is made elsewhere. The head of state will, regardless of actual authority, perform ceremonial duties related to the country's armed forces, and will sometimes appear in military uniform for these purposes; particularly in monarchies where also the monarch's consort and other members of a royal family may also appear in military garb. This is generally the only time a head of state of a stable, democratic country will appear dressed in such a manner, as statesmen and public are eager to assert the primacy of (civilian, elected) politics over the armed forces. In military dictatorships, or governments which have arisen from coups d'état, the position of commander-in-chief is obvious, as all authority in such a government derives from the application of military force; occasionally a power vacuum created by war is filled by a head of state stepping beyond his or her normal constitutional role, as King Albert I of Belgium did during World War I. In these and in revolutionary regimes, the head of state, and often executive ministers whose offices are legally civilian, will frequently appear in military uniform. The Command-in-Chief of the Land and Naval Militia, and of all Naval and Military Forces, of and in Canada, is hereby declared to continue to be vested in the Queen. The President is the commander-in-chief of the armed forces, shall preside over the Supreme Council of Defense established by law, and shall make declarations of war as have been agreed by Parliament of Italy. The President of the Republic shall be Commander-in-Chief of the Armed Forces. He shall preside over the higher national defence councils and committees. The President of the Russian Federation shall be the Supreme Commander-in-Chief of the Armed Forces of the Russian Federation. The President shall be Commander in Chief of the Army and Navy of the United States, and of the Militia of the several States, when called into the actual Service of the United States. The Emir is the Commander-in-Chief of the armed forces. He shall supervise the same with the assistance of Defence Council under his direct authority. The said Council shall be constituted by an Emiri Resolution, which will also determine the functions thereof. Some countries with a parliamentary system designate officials other than the head of state with command-in-chief powers. In Germany, the Basic Law of the Federal Republic vests this authority in the Minister of Defence in normal peace-time (article 65a), and that command authority is transferred to the Federal Chancellor when a State of Defence is invoked (article 115b): something which has never happened so far. In Israel, the applicable basic law states that the ultimate authority over the Israel Defense Forces rests with the Government of Israel as a collective body. The authority of the Government is exercised by the Minister of Defense on behalf of the Government, and subordinate to the Minister is the Chief of General Staff who holds the highest level of command within the military. It is usual that the head of state, particularly in parliamentary systems as part of the symbolic role, is the one who opens the annual sessions of the legislature, e.g. the annual State Opening of Parliament with the Speech from the Throne in Britain. Even in presidential systems the head of state often formally reports to the legislature on the present national status, e.g. the State of the Union address in the United States of America. 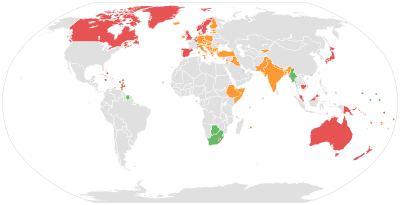 Most countries require that all bills passed by the house or houses of the legislature be signed into law by the head of state. In some states, such as the United Kingdom, Belgium and Ireland, the head of state is, in fact, formally considered a tier of the legislature. However, in most parliamentary systems, the head of state cannot refuse to sign a bill, and, in granting a bill their assent, indicate that it was passed in accordance with the correct procedures. The signing of a bill into law is formally known as promulgation. Some monarchical states call this procedure Royal Assent. The formal opening of a Riksdag session takes place at a special meeting of the Chamber held no later than the third day of the session. At this meeting, the Head of State declares the session open at the invitation of the Speaker. If the Head of State is unable to attend, the Speaker declares the session open. Every law shall require the sanction of the Reigning Prince to attain legal force. The President of the State shall sign every Law, other than a Law relating to its powers. f) shall address the Federal Assembly with annual messages on the situation in the country and on the basic objectives of the internal and foreign policy of the State. XXIV - render, each year, accounts to the National Congress concerning the previous fiscal year, within sixty days of the opening of the legislative session. 1. Any draft law passed by the Council shall be referred to the Emir for ratification. 2. If the Emir, declines to approve the draft law, he shall return it a long with the reasons for such declination to the Council within a period of three months from the date of referral. 3. In the event that a draft law is returned to the Council within the period specified in the preceding paragraph and the Council passes the same once more with a two-thirds majority of all its Members, the Emir shall ratify and promulgate it. The Emir may in compelling circumstances order the suspension of this law for the period that he deems necessary to serve the higher interests of the country. If, however, the draft law is not passed by a two-thirds majority, it shall not be reconsidered within the same term of session. In some parliamentary systems, the head of state retains certain powers in relation to bills to be exercised at his or her discretion. They may have authority to veto a bill until the houses of the legislature have reconsidered it, and approved it a second time; reserve a bill to be signed later, or suspend it indefinitely (generally in states with royal prerogative; this power is rarely used); refer a bill to the courts to test its constitutionality; refer a bill to the people in a referendum. If he or she is also chief executive, he or she can thus politically control the necessary executive measures without which a proclaimed law can remain dead letter, sometimes for years or even forever. A head of state is often empowered to summon and dissolve the country's legislature. In most parliamentary systems, this is often done on the advice of the head of government. In some parliamentary systems, and in some presidential systems, however, the head of state may do so on their own initiative. Some states have fixed term legislatures, with no option of bringing forward elections (e.g. Article II, Section 3, of the U.S. Constitution). In other systems there are usually fixed terms, but the head of state retains authority to dissolve the legislature in certain circumstances. Where a head of government has lost support in the legislature, some heads of state may refuse a dissolution, where one is requested, thereby forcing the head of government's resignation. The President may in absolute discretion refuse to dissolve Dáil Éireann on the advice of a Taoiseach who has ceased to retain the support of a majority in Dáil Éireann. The President of the Republic may, after consulting the Prime Minister and the Presidents of the Houses of Parliament, declare the National Assembly dissolved. The King may confer titles of nobility, without ever having the power to attach privileges to them. The King may bestow orders upon whomever he pleases as a reward for distinguished services, and such orders must be publicly announced, but no rank or title other than that attached to any office. The order exempts no one from the common duties and burdens of citizens, nor does it carry with it any preferential admission to senior official posts in the State. Senior officials honorably discharged from office retain the title and rank of their office. This does not apply, however, to Members of the Council of State or the State Secretaries. The President shall confer the honorary distinctions of the Republic. The King's person is sacred; he cannot be censured or accused. The responsibility rests with his Council. (1) President of the Republic may not be detained, subjected to criminal prosecution or prosecuted for offense or other administrative delict. (2) President of the Republic may be prosecuted for high treason at the Constitutional Court based on the Senate's suit. The punishment may be the loss of his presidential office and of his eligibility to regain it. (3) Criminal prosecution for criminal offenses committed by the President of the Republic while executing his office shall be ruled out forever. 1. The President of the Republic answers before the Supreme Court of Justice for crimes committed in the exercise of his functions. 2. Proceedings may only be initiated by the Assembly of the Republic, upon a motion subscribed by one fifth and a decision passed by a two-thirds majority of all the Members of the Assembly of the Republic in full exercise of their office. 3. Conviction implies removal from office and disqualification from re-election. 4. For crimes that are not committed in the exercise of his functions, the President of the Republic answers before the common courts, once his term of office has ended. The Emir is the head of State. His person shall be inviolable and he must be respected by all. Where the institutions of the Republic, the independence of the Nation, the integrity of its territory or the fulfilment of its international commitments are under serious and immediate threat, and where the proper functioning of the constitutional public authorities is interrupted, the President of the Republic shall take measures required by these circumstances, after formally consulting the Prime Minister, the Presidents of the Houses of Parliament and the Constitutional Council. He shall address the Nation and inform it of such measures. The measures shall be designed to provide the constitutional public authorities as swiftly as possible, with the means to carry out their duties. The Constitutional Council shall be consulted with regard to such measures. Parliament shall sit as of right. The National Assembly shall not be dissolved during the exercise of such emergency powers. After thirty days of the exercise of such emergency powers, the matter may be referred to the Constitutional Council by the President of the National Assembly, the President of the Senate, sixty Members of the National Assembly or sixty Senators, so as to decide if the conditions laid down in paragraph one still apply. The Council shall make its decision publicly as soon as possible. It shall, as of right, carry out such an examination and shall make its decision in the same manner after sixty days of the exercise of emergency powers or at any moment thereafter. The Emir may, be a decree, declare Martial Laws in the country in the event of exceptional cases specified by the law; and in such cases, he may take all urgent necessary measures to counter any threat that undermine the safety of the State, the integrity of its territories or the security of its people and interests or obstruct the organs of the State from performing their duties. However, the decree must specify the nature of such exceptional cases for which the martial laws have been declared and clarify the measures taken to address this situation. Al-Shoura Council shall be notified of this decree within the fifteen days following its issue; and in the event that the Council is not in session for any reason whatsoever, the Council shall be notified of the decree at its first convening. Martial laws shall be declared for a limited period and the same shall not be extended unless approved by Al-Shoura Council. The Emir may, in the event of exceptional cases that require measures of utmost urgency which necessitate the issue of special laws and in case that Al-Shoura Council is not in session, issue pertinent decrees that have the power of law. Such decree-laws shall be submitted to Al-Shoura Council at its first meeting; and the Council may within a maximum period of forty days from the date of submission and with a two-thirds majority of its Members reject any of these decree-laws or request amendment thereof to be effected within a specified period of time; such decree-laws shall cease to have the power of law from the date of their rejection by the Council or where the period for effecting the amendments have expired. The King can grant pardons and amnesties. He may only pardon Ministers convicted by the Court of Impeachment with the consent of Parliament. He [The President] shall exercise the power to pardon individual offenders on behalf of the Federation. The President of the Republic is vested with the power to grant individual pardons. ...and he [The President] shall have Power to grant Reprieves and Pardons for Offences against the United States, except in Cases of Impeachment. In the Commonwealth realms, other than the United Kingdom, a governor-general (governor general in Canada) is appointed by the sovereign, on the advice of the relevant prime minister, as a representative and to exercise almost all the Royal Prerogative according to established constitutional authority. In Australia the present Queen is generally assumed to be head of state, since the governor-general and the state governors are defined as her "representatives". However, since the governor-general performs almost all national regal functions, the governor-general has occasionally been referred to as head of state in political and media discussion. To a lesser extent, uncertainty has been expressed in Canada as to which officeholder—the monarch, the governor general, or both—can be considered the head of state. New Zealand, Papua New Guinea, and Tuvalu explicitly name the monarch as their head of state (though Tuvalu's constitution states that "references in any law to the Head of State shall be read as including a reference to the Governor-General"). Governors-general are frequently treated as heads of state on state and official visits; at the United Nations, they are accorded the status of head of state in addition to the sovereign. An example of a governor-general departing from constitutional convention by acting unilaterally (that is, without direction from ministers, parliament, or the monarch) occurred in 1926, when Canada's governor general refused the head of government's formal advice requesting a dissolution of parliament and a general election. In a letter informing the monarch after the event, the Governor General said: "I have to await the verdict of history to prove my having adopted a wrong course, and this I do with an easy conscience that, right or wrong, I have acted in the interests of Canada and implicated no one else in my decision." Another example occurred when, in the 1975 Australian constitutional crisis, the Governor-General unexpectedly dismissed the Prime Minister in order to break a stalemate between the House of Representatives and Senate over money bills. The Governor-General issued a public statement saying he felt it was the only solution consistent with the constitution, his oath of office, and his responsibilities, authority, and duty as governor-general. A letter from the Australian monarch's Private Secretary at the time, Martin Charteris, confirmed that the only person competent to commission an Australian prime minister was the governor-general and it would not be proper for the monarch to personally intervene in matters that the Constitution Act so clearly places within the governor-general's jurisdiction. Other Commonwealth realms that are now constituted with a governor-general as the viceregal representative of Elizabeth II are: Antigua and Barbuda, the Bahamas, Belize, Grenada, Jamaica, New Zealand, Saint Kitts and Nevis, Saint Lucia, and Saint Vincent and the Grenadines. Although many constitutions, particularly from the 19th century and earlier, make no explicit mention of a head of state in the generic sense of several present day international treaties, the officeholders corresponding to this position are recognized as such by other countries. In a monarchy, the monarch is generally understood to be the head of state. In a republic, the head of state nowadays usually bears the title of President, but some have or had had other titles. In medieval Europe, it was universally accepted that the Pope ranked first among all rulers and was followed by the Holy Roman Emperor. The Pope also had the sole right to determine the precedence of all others. This principle was first challenged by a Protestant ruler, Gustavus Adolphus of Sweden and was later maintained by his country at the Congress of Westphalia. Great Britain would later claim a break of the old principle for the Quadruple Alliance in 1718. [note 1] However, it was not until the 1815 Congress of Vienna, when it was decided (due to the abolition of the Holy Roman Empire in 1806 and the weak position of France and other catholic states to assert themselves) and remains so to this day, that all sovereign states are treated as equals, whether monarchies or republics. On occasions when multiple heads of state or their representatives meet, precedence is by the host usually determined in alphabetical order (in whatever language the host determines, although French has for much of the 19th and 20th centuries been the lingua franca of diplomacy) or by date of accession. Contemporary international law on precedence, built upon the universally admitted principles since 1815, derives from the Vienna Convention on Diplomatic Relations (in particular, articles 13, 16.1 and Appendix iii). There are also several methods of head of state succession in the event of the removal, disability or death of an incumbent head of state. Niccolò Machiavelli used Prince (Italian: Principe) as a generic term for the ruler, similar to contemporary usage of head of state, in his classical treatise The Prince, originally published in 1532: in fact that particular literary genre it belongs to is known as Mirrors for princes. 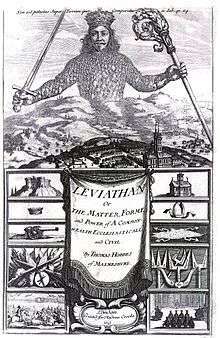 Thomas Hobbes in his Leviathan (1651) used the term Sovereign. In Europe the role of a monarchs has gradually transitioned from that of a sovereign ruler—in the sense of Divine Right of Kings as articulated by Jean Bodin, Absolutism and the "L'etat c'est moi"—to that of a constitutional monarch; parallel with the conceptual evolution of sovereignty from merely the personal rule of a single person, to Westphalian sovereignty (Peace of Westphalia ending both the Thirty Years' War & Eighty Years' War) and popular sovereignty as in consent of the governed; as shown in the Glorious Revolution of 1688 in England & Scotland, the French Revolution in 1789, and the German Revolution of 1918–1919. The monarchies who survived through this era were the ones who were willing to subject themselves to constitutional limitations. Titles commonly used by monarchs are King/Queen or Emperor/Empress, but also many other; e.g. 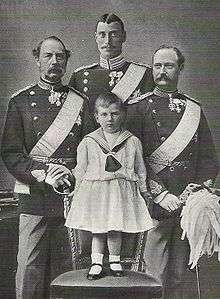 Grand Duke, Prince, Emir and Sultan. Whenever a head of state is not available for any reason, constitutional provisions may allow the role to fall temporarily to an assigned person or collective body. In a republic, this is - depending on provisions outlined by the constitution or improvised - a vice-president, the chief of government, the legislature or its presiding officer. In a monarchy, this is usually a regent or collegial regency (council). For example, in the United States the Vice-President acts when the President is incapacitated, and in the United Kingdom the Queen's powers may be delegated to Counselors of State when she is abroad or unavailable. In some countries where there is no resident head of state, such as Andorra, a local representative is appointed. In the case of Andorra, two co-princes act as the principality's heads of state; one is also simultaneously the President of France, residing in France, and the other is the Bishop of Urgell, residing in Spain. Each co-prince is represented in Andorra by a delegate, though these persons hold no formal title. In exceptional situations, such as war, occupation, revolution or a coup d'état, constitutional institutions, including the symbolically crucial head of state, may be reduced to a figurehead or be suspended in favor of an emergency office (such as the original Roman Dictator) or eliminated by a new "provisionary" regime, such as a collective of the junta type, or removed by an occupying force, such as a military governor (an early example being the Spartan Harmost). Since antiquity, various dynasties or individual rulers have claimed the right to rule by divine authority, such as the Mandate of Heaven and the divine right of kings. Some monarchs even claimed divine ancestry, such as Egyptian pharaohs and Sapa Incas, who claimed descent from their respective sun gods and often sought to maintain this bloodline by practicing incestuous marriage. In Ancient Rome, during the Principate, the title divus ('divine') was conferred (notably posthumously) on the emperor, a symbolic, legitimating element in establishing a de facto dynasty. In Roman Catholicism, the Pope was once Sovereign Pontiff and head of state, first, of the politically important Papal States. After Italian unification, the Pope remains head of state of Vatican City. Furthermore, the Bishop of Urgell is ex officio one of the two Co-Princes of Andorra. In the Church of England, the reigning monarch holds the title Defender of the Faith and acts as Supreme Governor of the Church of England, although this is purely symbolic role. During the early period of Islam, caliphs were spiritual and temporal absolute successors of the Prophet Mohammed. 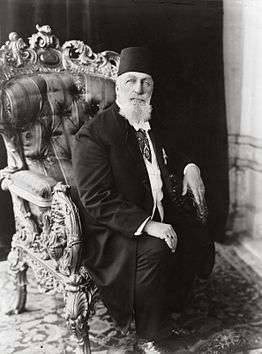 Various political Muslim leaders since have styled themselves Caliph and served as dynastic heads of state, sometimes in addition to another title, such as the Ottoman Sultan. Historically, some theocratic Islamic states known as imamates have been led by imams as head of state, such as in what is now Oman, Yemen, and Saudi Arabia. In the modern Islamic Republic of Iran, the Supreme Leader, at present Ali Khamenei serves as head of state. The Aga Khans, a unique dynasty of temporal/religious leadership, leading an offshoot of Shia Islam in Central and South Asia, once ranking among British India's princely states, continue to the present day. In Hinduism, certain dynasties adopted a title expressing their positions as "servant" of a patron deity of the state, but in the sense of a viceroy under an absentee god-king, ruling "in the name of" the patron god(ess), such as Patmanabha Dasa (servant of Vishnu) in the case of the Maharaja of Travancore. From the time of the 5th Dalai Lama until the political retirement of the 14th Dalai Lama in 2011, Dalai Lamas were both political and spiritual leaders ("god-king") of Tibet. Outer Mongolia, the former homeland of the imperial dynasty of Genghis Khan, was another lamaist theocracy from 1585, using various styles, such as tulku. The establishment of the Communist Mongolian People's Republic replaced this regime in 1924. The polis in Greek Antiquity and the equivalent city states in the feudal era and later, (many in Italy, the Holy Roman Empire, the Moorish taifa in Iberia, essentially tribal-type but urbanized regions throughout the world in the Maya civilization, etc.) offer a wide spectrum of styles, either monarchic (mostly identical to homonyms in larger states) or republican, see Chief magistrate. Doges were elected by their Italian aristocratic republics from a patrician nobility, but "reigned" as sovereign dukes. The paradoxical term crowned republic refers to various state arrangements that combine "republican" and "monarchic" characteristics. The Netherlands historically had officials called stadholders and stadholders-general, titles meaning "lieutenant" or "governor", originally for the Habsburg monarchs. A collective head of state can exist in republics (internal complexity): e.g. nominal triumvirates; the Directoire; the seven-member Swiss Federal Council, where each member acts in turn as ceremonial head of state); Bosnia and Herzegovina (three member presidium, from three different nations); San Marino (two "Captains-regent"), which maintains the tradition of Italian medieval republics, where there always was an even number of consuls. In condominiums, sovereignty is shared between two external powers: e.g. Andorra (president of France and bishop of Urgell, Spain, co-princes), and the former Anglo-French New Hebrides (each nation's head of state was represented by a high commissioner). In the Roman Republic there were two heads of state, styled Consul, both of whom alternated months of authority during their year in office, similarly there was an even number of supreme magistrates in the Italic republics of Ancient Age. In the Athenian Republic there were nine supreme magistrates, styled archons. In Carthage there were two supreme magistrates, styled kings or suffetes (judges). In ancient Sparta there were two hereditary kings, belonging to two different dynasties. Such arrangements are not to be confused with supranational entities which are not states and are not defined by a common monarchy but may (or not) have a symbolic, essentially protocollary, titled highest office, e.g. Head of the Commonwealth (held by the British crown, but not legally reserved for it) or 'Head of the Arab Union' (14 February - 14 July 1958, held by the Hashemite King of Iraq, during its short-lived Federation with Jordan, its Hashemite sister-realm). The National Government of the Republic of China, established in 1928, had a panel of about 40 people as collective head of state. Though beginning that year, a provisional constitution made the Kuomintang the sole government party and the National Government bound to the instructions of the Central Executive Committee of that party. Though president and various monarchichal titles are most commonly used for heads of state, in some nationalistic regimes, the leader adopts, formally or de facto, a unique style simply meaning "leader" in the national language, e.g. Germany's single national socialist party chief and combined head of state and government, Adolf Hitler, as the Führer between 1934 and 1945. In 1959, when former British crown colony Singapore gained self-government, it adopted the Malay style Yang di-Pertuan Negara (literally means "head of state" in Malay) for its governor (the actual head of state remained the British monarch). The second and last incumbent of the office, Yusof bin Ishak, kept the style at the 31 August 1963 unilateral declaration of independence and after the 16 September 1963 accession to Malaysia as a state (so now as a constituent part of the federation, a non-sovereign level). After its expulsion from Malaysia on 9 August 1965, Singapore became a sovereign Commonwealth republic and installed Yusof bin Ishak as its first President. In 1959 after the resignation of Vice President of Indonesia Mohammad Hatta, President Sukarno abolished the position and title of vice-president, assuming the positions of Prime Minister and Head of Cabinet. He also proclaimed himself president for life (Indonesian: Presiden Seumur Hidup Panglima Tertinggi; "panglima" meaning "commander or martial figurehead", "tertinggi" meaning "highest"; roughly translated to English as "Supreme Commander of the Revolution"). He was praised as "Paduka Yang Mulia", a Malay honorific originally given to kings; Sukarno awarded himself titles in that fashion due to his noble ancestry. There are also a few nations in which the exact title and definition of the office of head of state have been vague. During the Chinese Cultural Revolution, following the downfall of Liu Shaoqi, who was Chairman of the People's Republic of China, no successor was named, so the duties of the head of state were transferred collectively to the Standing Committee of the National People's Congress. This situation was later changed: the Head of State of the PRC is now the President of the People's Republic of China. In North Korea, the late Kim Il-sung was named "Eternal President" 4 years after his death and the presidency was abolished. As a result, some of the duties previously held by the President are constitutionally delegated to the Chairman of the Presidium of the Supreme People's Assembly, who performs some of the roles of a Head of State, such as accrediting foreign ambassadors and undertaking overseas visits. However, the symbolic role of a Head of State is generally performed by Kim Jong-un, who as the leader of the party and military, is the most powerful person in North Korea. 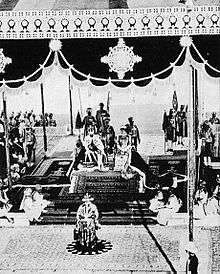 There is debate as to whether Samoa is/was an elective monarchy or an aristocratic republic, given the comparative ambiguity of the title O le Ao o le Malo and the nature of the head of state's office. In some states the office of head of state is not expressed in a specific title reflecting that role, but constitutionally awarded to a post of another formal nature. Thus in March 1979 Colonel Muammar Gaddafi, who kept absolute power (until his overthrow in 2011 referred to as "Guide of the Revolution"), after ten years as combined Head of State and Head of government of the Libyan Jamahiriya ("state of the masses"), styled Chairman of the Revolutionary Command Council, formally transferred both qualities to the General secretaries of the General People's Congress (comparable to a Speaker) respectively to a Prime Minister, in political reality both were his creatures. Sometimes a head of state assumes office as a state becomes legal and political reality, before a formal title for the highest office is determined; thus in the since 1 January 1960 independent republic Cameroon (Cameroun, a former French colony), the first President, Ahmadou Babatoura Ahidjo, was at first not styled président but 'merely' known as chef d'état - (French 'head of state') until 5 May 1960. In Uganda, Idi Amin the military leader after the coup of 25 January 1971 was formally styled military head of state till 21 February 1971, only from then on regular (but unconstitutional, not elected) president. In certain cases a special style is needed to accommodate imperfect statehood, e.g. the title Sardar-i-Riyasat was used in Kashmir after its accession to India, and the Palestine Liberation Organization leader, Yasser Arafat, was styled the first "President of the Palestinian National Authority" in 1994. In 2008, the same office was restyled as "President of the State of Palestine". The position of head of state can be established in different ways, and with different sources of legitimacy. Power can come from force, but formal legitimacy is often established, even if only by fictitious claims of continuity (e.g., a forged claim of descent from a previous dynasty). There have been cases of sovereignty granted by deliberate act, even when accompanied by orders of succession (as may be the case in a dynastic split). Such grants of sovereignty are usually forced, as is common with self-determination granted after nationalist revolts. This occurred with the last Attalid king of Hellenistic Pergamon, who by testament left his realm to Rome to avoid a disastrous conquest. Under a theocracy, perceived divine status translated into earthly authority under divine law. This can take the form of supreme divine authority above the state's, granting a tool for political influence to a priesthood. In this way, the Amun priesthood reversed the reforms of Pharaoh Akhenaten after his death. The division of theocratic power can be disputed, as happened between the Pope and Holy Roman Emperor in the investiture conflict when the temporal power sought to control key clergy nominations in order to guarantee popular support, and thereby his own legitamcy, by incorporating the formal ceremony of unction during coronation. The notion of a social contract holds that the nation—either the whole people or the electorate—gives a mandate, through acclamation or election. Individual heads of state may acquire their position by virtue of a constitution. The position of a monarch is usually hereditary, but in constitutional monarchies, there are usually restrictions on the incumbent's exercise of powers and prohibitions on the possibility of choosing a successor by other means than by birth. In a hereditary monarchy, the position of monarch is inherited according to a statutory or customary order of succession, usually within one royal family tracing its origin through a historical dynasty or bloodline. This usually means that the heir to the throne is known well in advance of becoming monarch to ensure a smooth succession. However, many cases of uncertain succession in European history have often led to wars of succession. Sometimes, however, primogeniture can operate through the female line. In some systems a female may rule as monarch only when the male line dating back to a common ancestor is exhausted. In 1980, Sweden, by rewriting its 1810 Act of Succession, became the first European monarchy to declare equal (full cognatic) primogeniture, meaning that the eldest child of the monarch, whether female or male, ascends to the throne. Other European monarchies (such as the Netherlands in 1983, Norway in 1990 and Belgium in 1991) have since followed suit. Similar reforms were proposed in 2011 for the United Kingdom and the other Commonwealth realms, which came into effect in 2015 after having been approved by all of the affected nations. Sometimes religion is affected; under the Act of Settlement 1701 all Roman Catholics and all persons who have married Roman Catholics are ineligible to be the British monarch and are skipped in the order of succession. In some monarchies there may be liberty for the incumbent, or some body convening after his or her demise, to choose from eligible members of the ruling house, often limited to legitimate descendants of the dynasty's founder. Rules of succession may be further limited by state religion, residency, equal marriage or even permission from the legislature. Other hereditary systems of succession included tanistry, which is semi-elective and gives weight to merit and Agnatic seniority. In some monarchies, such as Saudi Arabia, succession to the throne usually first passes to the monarch's next eldest brother, and only after that to the monarch's children (agnatic seniority). Election usually is the constitutional way to choose the head of state of a republic, and some monarchies, either directly through popular election, indirectly by members of the legislature or of a special college of electors (such as the Electoral College in the United States), or as an exclusive prerogative. Exclusive prerogative allows the heads of states of constituent monarchies of a federation to choose the head of state for the federation among themselves, as in the United Arab Emirates and Malaysia. 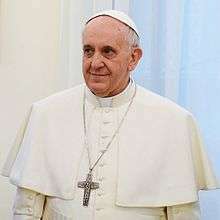 The Pope, head of state of Vatican City, is chosen by previously appointed cardinals under 80 years of age from among themselves in a papal conclave. A head of state can be empowered to designate his successor, such as Lord Protector of the Commonwealth Oliver Cromwell, who was succeeded by his son Richard. A head of state may seize power by force or revolution. This is not the same as the use of force to maintain power, as is practiced by authoritarian or totalitarian rulers. Dictators often use democratic titles, though some proclaim themselves monarchs. Examples of the latter include Emperor Napoleon III of France and King Zog of Albania. In Spain, general Francisco Franco adopted the formal title Jefe del Estado, or Chief of State, and established himself as regent for a vacant monarchy. Uganda's Idi Amin was one of several who named themselves President for Life. A foreign power can establishing a branch of their own dynasty, or one friendly to their interests. This was the outcome of the Russo-Swedish War from 1741 to 1743 where the Russian Empress made the imposition of her relative Adolf Frederick as the heir to the Swedish Throne, to succeed Frederick I who lacked legitimate issue, as a peace condition. Apart from violent overthrow, a head of state's position can be lost in several ways, including death, another by expiration of the constitutional term of office, abdication, or resignation. In some cases, an abdication cannot occur unilaterally, but comes into effect only when approved by an act of parliament, as in the case of British King Edward VIII. The post can also be abolished by constitutional change; in such cases, an incumbent may be allowed to finish his or her term. Of course, a head of state position will cease to exist if the state itself does. Heads of state generally enjoy widest inviolability, although some states allow impeachment, or a similar constitutional procedure by which the highest legislative or judicial authorities are empowered to revoke the head of state's mandate on exceptional grounds. This may be a common crime, a political sin, or an act by which he or she violates such provisions as an established religion mandatory for the monarch. By similar procedure, an original mandate may be declared invalid. Serious violations of certain fundamental treaty obligations is sometimes considered a valid reason for the relevant international community to depose a head of state, as the United Nations Security Council or certain alliances may do. Effigies, memorials and monuments of former heads of state can be designed to represent the history or aspirations of a state or its people, such as the equestrian bronze sculpture of Kaiser Wilhelm I, first Emperor of a unified Germany erected in Berlin at the end of the nineteenth century (monument demolished 1950); or the Victoria Memorial erected in front of Buckingham Palace London, commemorating Queen Victoria and her reign (1837 - 1901), and unveiled in 1911 by her grandson, King George V; or the monument, placed in front of the Victoria Memorial Hall, Kolkata (Calcutta) (1921), commemorating Queen Victoria's reign as Empress of India from 1876. Another, twentieth century, example is the Mount Rushmore National Memorial, a group sculpture constructed (1927-1941) on a conspicuous skyline in the Black Hills of South Dakota (40th state of the Union, 1889), in midwestern United States, representing the territorial expansion of the USA in the first 130 years from its founding, which is promoted as the "Shrine of Democracy". Former Presidents of the United States, while holding no political powers per se, sometimes continue to exert influence in national and world affairs. A monarch may retain his style and certain prerogatives after abdication, as did King Leopold III of Belgium, who left the throne to his son after winning a referendum which allowed him to retain a full royal household deprived him of a constitutional or representative role. Napoleon transformed the Italian principality of Elba, where he was imprisoned, into a miniature version of his First Empire, with most trappings of a sovereign monarchy, until his Cent Jours escape and reseizure of power in France convinced his opponents, reconvening the Vienna Congress in 1815, to revoke his gratuitous privileges and send him to die in exile on barren Saint Helena. By tradition, deposed monarchs who have not freely abdicated continue to use their monarchical titles as a courtesy for the rest of their lives. Hence, even after Constantine II ceased to be King of the Hellenes, it is still common to refer to the deposed king and his family as if they were still on the throne, as many European royal courts and households do in guest lists at royal weddings, as in Sweden in 2010, Britain in 2011 and Luxembourg in 2012. The Republic of Greece oppose the right of their deposed monarch and former royal family members to be referred to by their former titles or bearing a surname indicating royal status, and has enacted legislation which hinder acquisition of Greek citizenship unless those terms are met. The former king brought this issue, along with property ownership issues, before the European Court of Human Rights for alleged violations of the European Convention on Human Rights, but lost with respect to the name issue. However, some other states have no problem with deposed monarchs being referred to by their former title, and even allow them to travel internationally on the state's diplomatic passport. In the Italian constitution provides that after the period sent the President of the Republic takes the title President Emeritus of the Italian Republic is also a senator for life, and enjoys immunity, flight status and official residences certain privileges. ↑ On the occasion of a royal marriage in 1760, the premier of Portugal, the Marquis of Pombal, tried to maintain that the host, the King of Portugal, should as a crowned head have the sovereign right to determine the precedence of how ambassadors (apart from the papal nuncio and the imperial ambassador) would rank, based on the date of their credentials. The pragmatic suggestions of Pombal was not successful, and as the pretensions among the great powers were so deep-rooted, it would take the Napoleonic Wars for the great powers to have a fresh look at the issue. 1 2 Foakes, Joanne (2014). The Position of Heads of State and Senior Officials in International Law. OUP Oxford. pp. 110–111. ISBN 978-0-19-964028-7. ↑ Kubicek, Paul (2015). European Politics. Routledge. pp. 154–156, 163. ISBN 978-1-317-34853-5. ↑ Schmidt, Steffen; Shelley, Mack; Bardes, Barbara (2008). American Government and Politics Today (2009-2010 ed.). Cengage Learning. p. 470. ISBN 0-495-50228-6. ↑ Nicolaidis and Weatherill (ed.) (2003). "Whose Europe? National Models and the Constitution of the European Union" (PDF). ↑ Gouvea, C. P. (2013). "The Managerial Constitution: The Convergence of Constitutional and Corporate Governance Models". ↑ Belavusau, U. (2013). Freedom of speech: importing European and US constitutional models in transitional democracies. Routledge. ISBN 9781135071981. ↑ Klug, Heinz. "Postcolonial Collages: Distributions of Power and Constitutional Models, With Special Reference to South Africa". ↑ "Belgian King, Unable to Sign Abortion Law, Takes Day Off". The New York Times. 5 April 1990. 1 2 3 4 5 6 HEADS OF STATE, HEADS OF GOVERNMENT, MINISTERS FOR FOREIGN AFFAIRS, Protocol and Liaison Service, United Nations (2016-04-08). Retrieved on 2016-04-15. 1 2 3 The Constitution of Japan, Office of the Prime Minister. Retrieved on 2012-11-02. ↑ Japan in The World Factbook, Central Intelligence Agency. Retrieved on 2012-11-11. 1 2 3 4 The Instrument of Government, Riksdag of Sweden. Retrieved on 2012-11-02. ↑ Duties of the Monarch, Royal Court of Sweden. Retrieved on 2012-11-01. 1 2 3 4 Constitution of Ireland, Office of the Attorney General (December 2013). Retrieved 2014-08-03. ↑ Lifetime portrait (1796), known as the "Lansdowne portrait", includes spines of two books titled "American Revolution" and "Constitution and Laws of the United States". 1 2 3 Constitution of the Principality of Liechtenstein (LR 101) (2009). Retrieved on 2014-08-03. ↑ Constitution of the Republic of South Africa, 1996, Department of Justice and Constitutional Development (2009). Retrieved on 2014-08-03. ↑ Constitution of Botswana, Embassy of the Republic of Botswana in Washington DC. Retrieved on 2012-11-11. 1 2 THE CONSTITUTION OF NAURU, Parliament of Nauru. Retrieved on 2012-11-11. ↑ "The Crown in Canada" (PDF). Department of Canadian Heritage. Retrieved August 31, 2014. 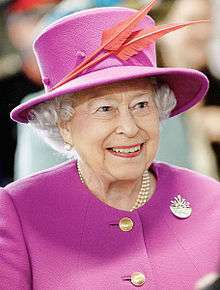 ↑ The Queen's role in Canada, Royal Household. Retrieved on 2012-11-02. ↑ Olympic Charter: in force as of 2 August 2016, International Olympic Committee (August 2016). Retrieved on 2016-09-13. ↑ SPANISH CONSTITUTION, Senate of Spain. Retrieved on 2012-11-02. 1 2 Constitution Act 1986, New Zealand Parliamentary Counsel Office. Retrieved on 2013-08-28. 1 2 Constitution of the Italian Republic, Senate of the Republic. Retrieved on 2012-11-02. ↑ Constitution of Iraq. Retrieved 2014-08-03. 1 2 CONSTITUTION OF THE PORTUGUESE REPUBLIC: SEVENTH REVISION (2005), Portuguese Constitutional Court. Retrieved on 2012-11-02. 1 2 THE CONSTITUTION OF THE REPUBLIC OF KOREA, Constitutional Court of Korea. Retrieved on 2012-11-02. 1 2 3 4 5 6 Constitution of the Russian Federation, Government of the Russian Federation. Retrieved on 2012-11-02. ↑ CONSTITUTION OF THE ARGENTINE NATION, Argentine Senate. Retrieved on 2012-11-16. 1 2 My Constitutional Act with explanations, 9th edition, The Communications Section, Danish Parliament (August 2012). Retrieved on 2012-11-11. ↑ The Constitution as in force on 1 June 2003 together with proclamation declaring the establishment of the Commonwealth, letters patent relating to the Office of Governor-General, Statute of Westminster Adoption Act 1942, Australia Act 1986., ComLaw, Government of Australia (2003) ISBN 0 642 78285 7. Retrieved on 2012-11-11. ↑ The Constitution, Publications Department, Hellenic Parliament (2008) ISBN 960 560 073 0. Retrieved on 2012-11-11. ↑ Constitution of India, Part V, Ministry of Law and Justice. Retrieved on 2012-11-11. 1 2 3 Constitution of the Federative Republic of Brazil: 3rd Edition, Chamber of Deputies (2010) ISBN 978-85-736-5737-1. Retrieved on 2012-11-13. 1 2 3 4 5 6 Constitution of the United States, National Archives and Records Administration. Retrieved on 2012-11-11. 1 2 3 4 5 6 Constitution of October 4, 1958, The French National Assembly. Retrieved on 2012-11-11. 1 2 THE BELGIAN CONSTITUTION, Legal Department, Belgian House of Representatives (August 2012). Retrieved on 2012-11-11. 1 2 3 4 Vienna Convention on Diplomatic Relations 1961, International Law Commission, United Nations. Retrieved on 2012-10-15. ↑ "Vienna Convention on Diplomatic Relations". United Nations Treaty Collection. United Nations. Retrieved 2012-11-16. 1 2 Roberts: pp. 542-543. ↑ Treaty of Lisbon (OJ C 306, 17.12.2007), Official Journal of the European Union through EUR-Lex. Retrieved on 2012-11-01. ↑ TREATY ON EUROPEAN UNION (92/C 191/01) aka Maastricht Treaty, Official Journal of the European Union through EUR-Lex. Retrieved on 2012-11-11. 1 2 3 Basic Law for the Federal Republic of Germany, Bundestag (Print version. As at: October 2010). Retrieved on 2012-11-11. ↑ Constitution of China, Chinese Government's Official Web portal. Retrieved 2012-11-02. ↑ Alston, Philip (1995). Treaty-making and Australia: globalization versus sovereignty?. Annandale: Federation Press. p. 254. ISBN 978-1-86287-195-3. ↑ Flemming, Brian (1965). "Canadian Practice in International Law". The Canadian Yearbook of International Law. Vancouver: University of British Columbia Press. III: 337. Retrieved 16 January 2011. ↑ Office of the Governor General of Canada. "The Governor General - the evolution of Canada's oldest public institution". Queen's Printer for Canada. Retrieved 16 January 2011. ↑ "The Constitution Act, 1867". 1 2 3 The Constitution, as laid down on 17 May 1814 by the Constituent Assembly at Eidsvoll and subsequently amended., Information Service, Parliament of Norway. Retrieved on 2012-11-11. 1 2 3 4 Constitution of the State of Qatar, Ministry of Foreign Affairs. Retrieved on 2012-11-17. ↑ Basic Law of Israel: The Military, Knesset. Retrieved on 2011-11-11. ↑ The Riksdag Act, Riksdag of Sweden. Retrieved on 2012-11-16. ↑ Basic Law of Israel: The President of the State, Knesset. Retrieved on 2012-11-11. ↑ Constitution of the Czech Republic, Prague Castle Administration. Retrieved on 2012-11-11. ↑ Constitution, s 2; Australia Act 1986 (Cth and UK), s 7. ↑ "Kerr's Statement Of Reasons". 1 2 Robertson: p. 221. 1 2 3 4 Roberts: p. 39. 1 2 Roberts: pp. 42-43. ↑ Murphy, Michael Dean. "A Kinship Glossary: Symbols, Terms, and Concepts". Retrieved 2006-10-05. ↑ Swedish Act of Succession (English Translation as of 2012), The Riksdag. Retrieved on 2013-08-28. 1 2 "Deutsches Historisches Museum Berlin - Reinhold Begas - Monuments for the German Empire - Exhibition". 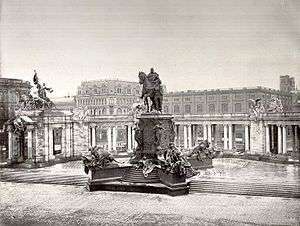 ↑ Frampton's Jubilee Monument for Queen Victoria, image with dog to show scale. ↑ "Mount Rushmore National Memorial". TravelSouthDakota.com. ↑ Guests at the wedding ceremony: Wedding between Crown Princess Victoria and Mr Daniel Westling on Saturday 19 June 2010, 3.30 p.m., at Stockholm Cathedral, Royal Court of Sweden. Retrieved on 2012-11-12. ↑ Selected Guest List for the Wedding Service at Westminster Abbey, The Royal Household (2011). Retrieved on 2012-11-12. ↑ Selected guest list for the wedding service at Cathédrale Notre-Dame de Luxembourg on October 20, 2012 at 11:00 a.m., Government of Luxembourg. Retrieved on 2012-11-12. ↑ THE FORMER KING CONSTANTINOS OF GREECE AND 8 MEMBERS OF HIS FAMILY v. GREECE, (25701/94 | DECISION | COMMISSION (Plenary) | 21/04/1998) European Commission of Human Rights. Retrieved on 2012-11-12. ↑ CASE OF THE FORMER KING OF GREECE AND OTHERS v. GREECE, (25701/94 | Judgment (Merits) | Court (Grand Chamber) | 23/11/2000), European Court of Human Rights. Retrieved on 2012-11-12. Roberts, Sir Ivor, ed. (2009). Satow's Diplomatic Practice (Sixth ed.). Oxford: Oxford University Press. ISBN 978-0-19-969355-9. Robertson, David (2002). A Dictionary of Modern Politics: Third Edition. London: Europa Publications. ISBN 1-85743-093-X. Watts, Sir Arthur (2010). "Heads of State". In Wolfrum, Rüdiger. Max Planck Encyclopedia of Public International Law. Oxford International Public Law. Oxford University Press. Retrieved 2015-10-05. Look up head of state in Wiktionary, the free dictionary. Wikimedia Commons has media related to Heads of state.